Henry was having one of those blah kind of days. He didn’t want to eat, didn’t want to sleep and didn’t want to play. 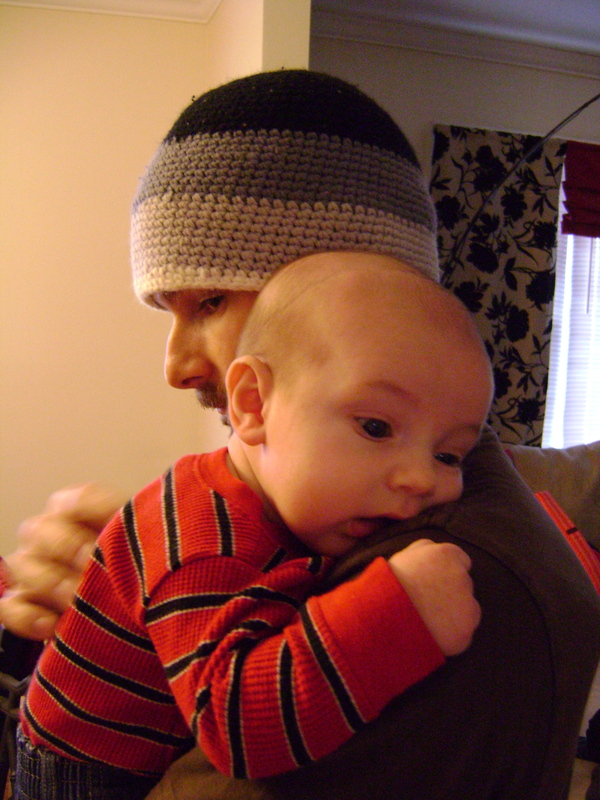 He was just fussy and wanted to be held all day. It was hard to be happy when he was cranky but I tried to look for something positive. I want to savor the feeling of his little hands grabbing on to me and his velvety soft hair brushing against my cheek because I know there will come a day when he won’t be my cuddly little baby any more.